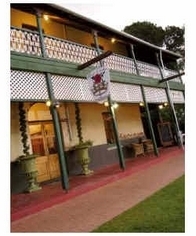 The Rose and Crown holds the distinction of being the oldest hotel in Western Australia and the third oldest licensed hotel in Australia and is nowadays heritage listed. Thomas Jecks erected the building when the colony of Western Australia was little more than a decade old. In 1839 Mr Jecks opened a general store and in 1841 he extended the scope of the business to include a licensed Inn.The Cellar and tunnel was built by convict labour, with hand made nails and hand sawn Jarrah beams, which still support the large building after over 160 years. The detached stables at the back were built about 1880 to house camels trekking from the Gold Fields and the one storey addition now called the Posh Convict was built in the 1890's. 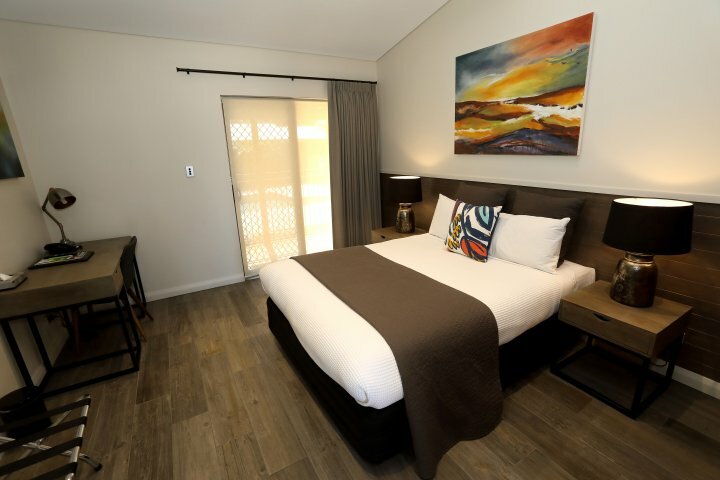 The 28 room Lodge built in an Australian Colonial style is conveniently located on leafy Swan Street with most rooms having traditional feature brick walls to create a homely yet contemporary country style. 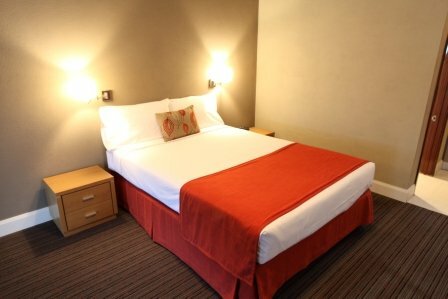 All of our rooms are well appointed with the modern comforts of today and free parking is available throughout. 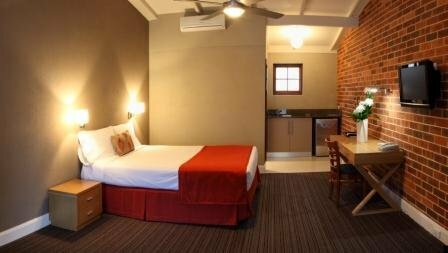 The Superior Queen rooms are mostly located surrounding the pool, they are spacious and would suit any business or leisure traveller. 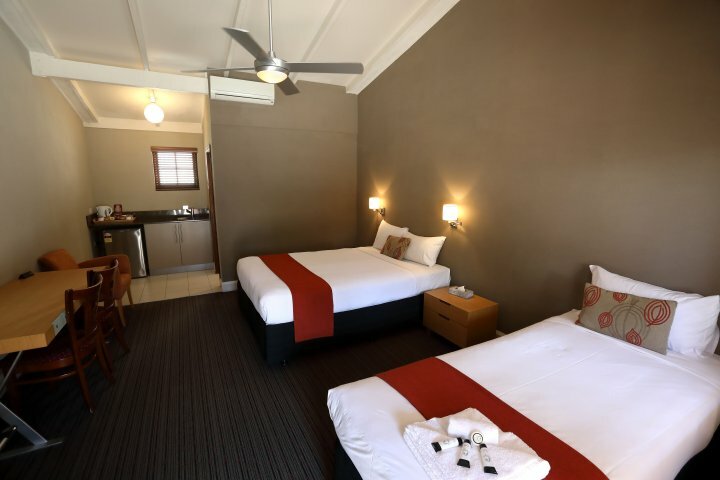 The triple rooms are located on the first floor and cater perfectly for small families with a queen size bed and a single bed. All rooms have free wireless internet throughout and tea and coffee facilities are provided for your comfort. Housed within the original inn are our three Heritage Suites. 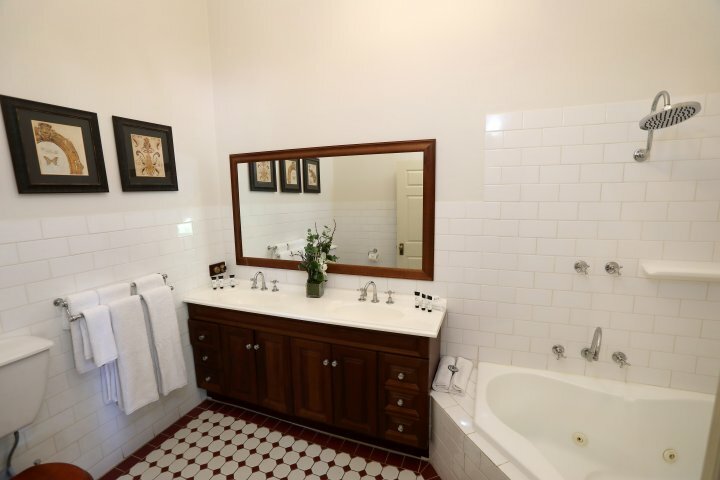 Staying here brings back memories from a bygone era as they have been faithfully restored in a traditonal style complete with 19th century furnishings, authentic décor and a touch of modern indulgence with newly installed spa-baths in two of the three suites. 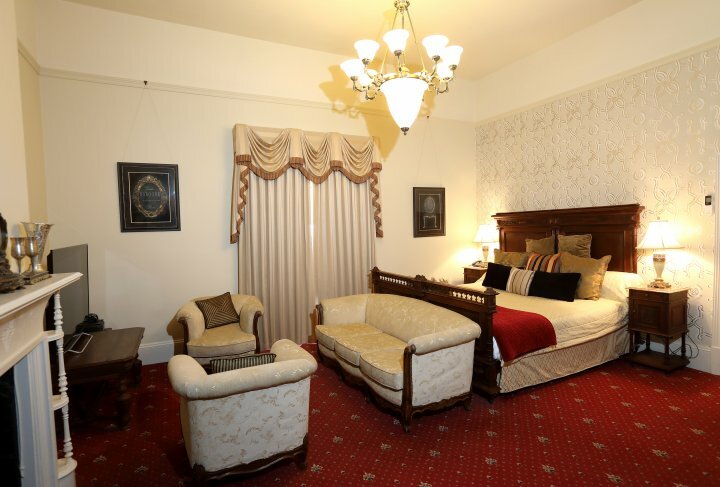 These suites can only be booked directly with the hotel due to their high demand. Should you be interested in booking the Heritage Suites, then please contact us directly on 08 93478100. The Rose & Crown is not just a hotel but a complete venue with easily one of the best beer gardens in the country as well as it's renowned 1841 Bar & Restaurant. When you add to this the Posh Convict Lounge and Bar, the Rose & Crown now offers dining patrons a range of comfortable boutique-style surrounds for all occasions and the finest of modern Australian food seven days a week. 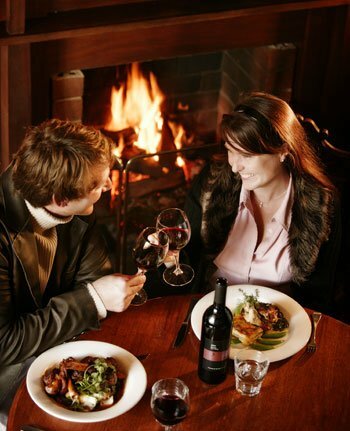 The Rose & Crown Restaurant is acclaimed for its variety of dining experiences, vast local wine selection and also for it's friendly service. 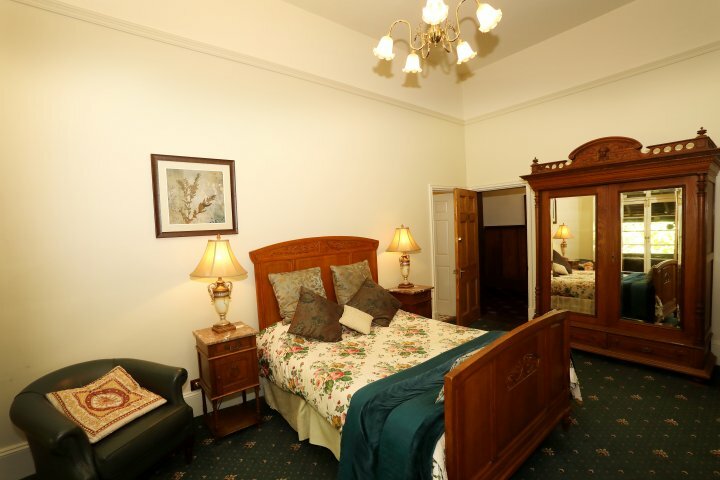 The Rose & Crown offers a wide range of accommodation options designed to meet most requirements. Whether your visit is for business or pleasure,a romantic getaway or just looking for a comfortable stay for the night we have the rooms to suit. All of our guests receive a complimentary cooked breakfast in our restaurant during restaurant opening hours, or an in room continental breakfast basket can be arranged for the duration of their stay with us. 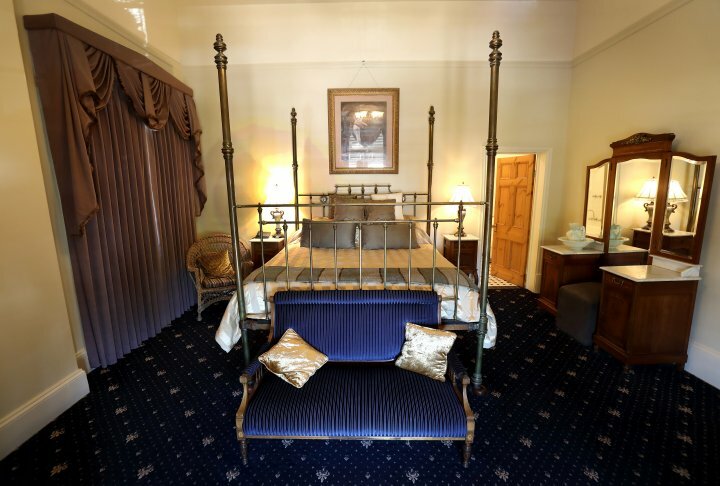 Superior Queen Room with an ensuite bathroom and breakfast for up to 2 guests. 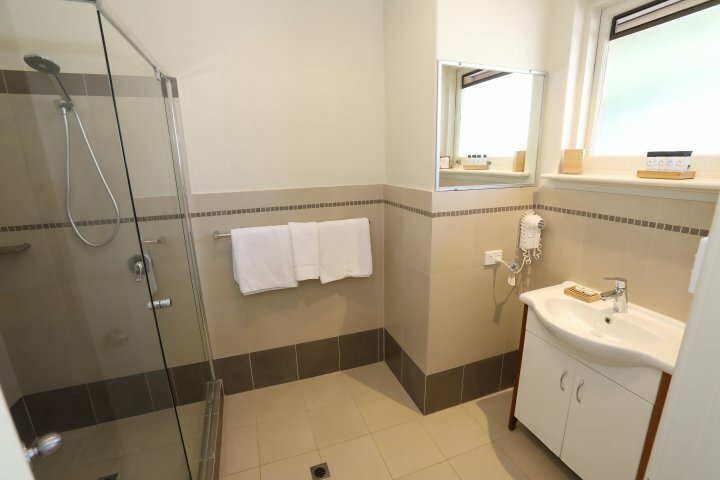 Triple Room with ensuite bathroom and 1 Queen bed and 1 Single bed with breakfast for up to three guests. Whether you require a formal themed dinner in one of our function rooms, a special celebration, a casual get together or meeting and conference space our facilities will be tailored to suit your individual needs. If you want proximity to the city without the hustle and bustle, come and experience all that Guildford and the Swan Valley has to offer. Advise us of your requirements and let our friendly and professional team take care of all the arrangements. Reception is open 7am to 7.30pm 7 days a week. Reception is located to the left as you enter the main carpark. If you will be arriving after 6pm then contact us directly prior to arrival on 08 9347 8100 to organise the collection of your key. This is due to limited reception hours and therefore we need to arrange your access to the room. Any bookings made after 6pm for the same day will not be accepted. Extra beds are available in selected rooms only at an additional cost of $30. Children under the age of 6 are free assuming they will use the available bedding configuration and the maximum number of guests in the room is 3 persons. Cots are also available for $10 per night. Guildford is a suburb of Perth located about 14 km from the CBD and on the doorstep of the Swan Valley. 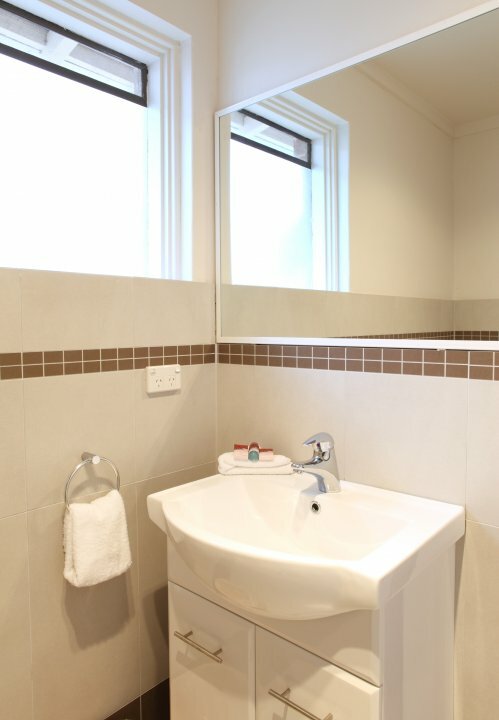 We are situated on the Midland train line and Perth can be reached within approximately 20 mins. To get here from the Domestic Airport you need to travel east on Great Eastern Highway and you will find Guildford in approx 7-10 minutes and about 12 min from the International Airport. Once in Guildford, find the Swan Street and Terrace Road junction and we are located at 105 Swan street.